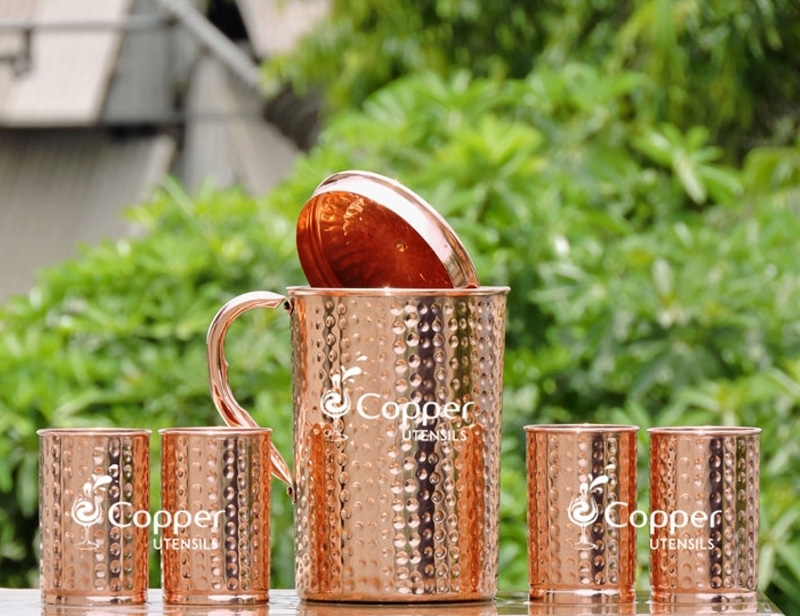 The set is made of pure copper. 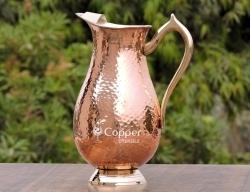 Hand-hammered and hand-crafted by skilled artisans. 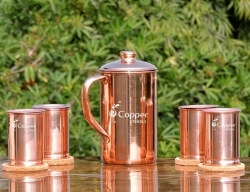 The set consists of one hammered copper pitcher and four hammered copper tumblers. 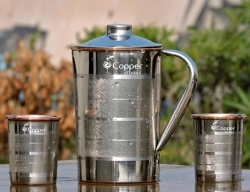 The pitcher comes with a matching lid to prevent dust and dirt from entering the pitcher. 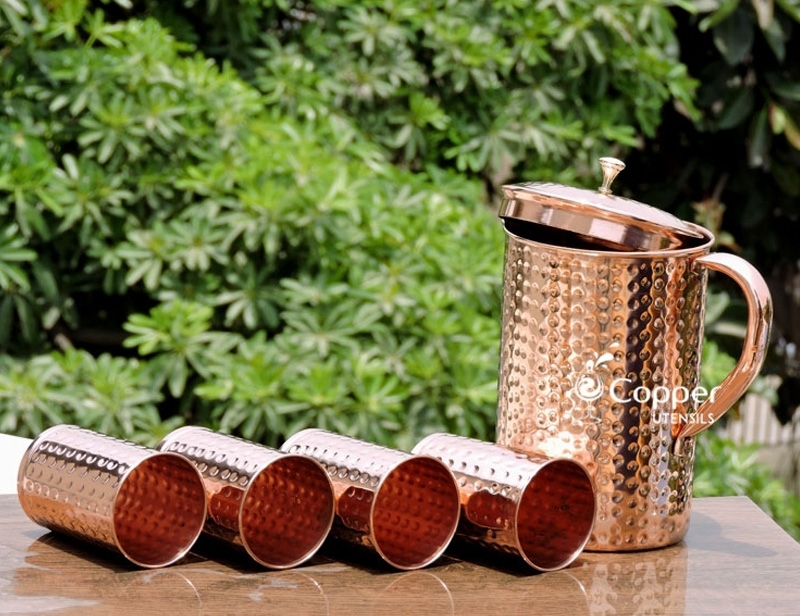 The use of copper or Tamba for making vessels dates back to the ancient era. 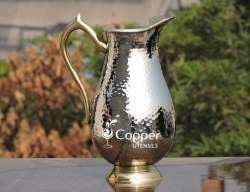 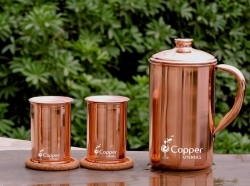 But even today, people use copper vessels to reap the numerous health benefits it offers. 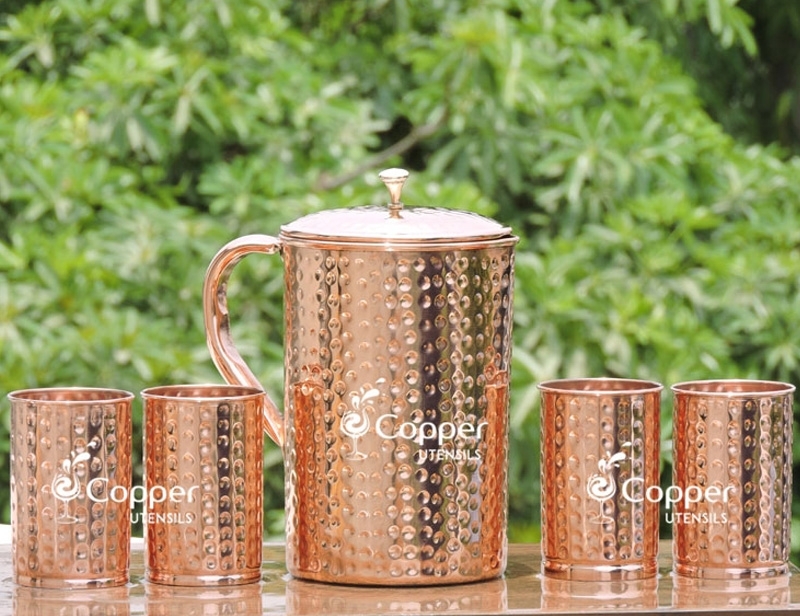 Our hammered pure copper pitcher and four tumblers set is perfect for those who are looking forward to incorporating the habit of drinking copper treated water in their life. 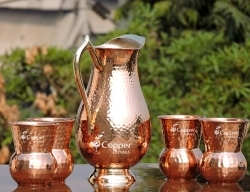 Our hammered pitcher and tumblers are made of pure copper using traditional hammering technique. 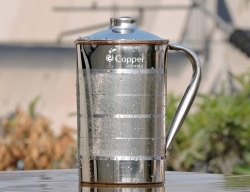 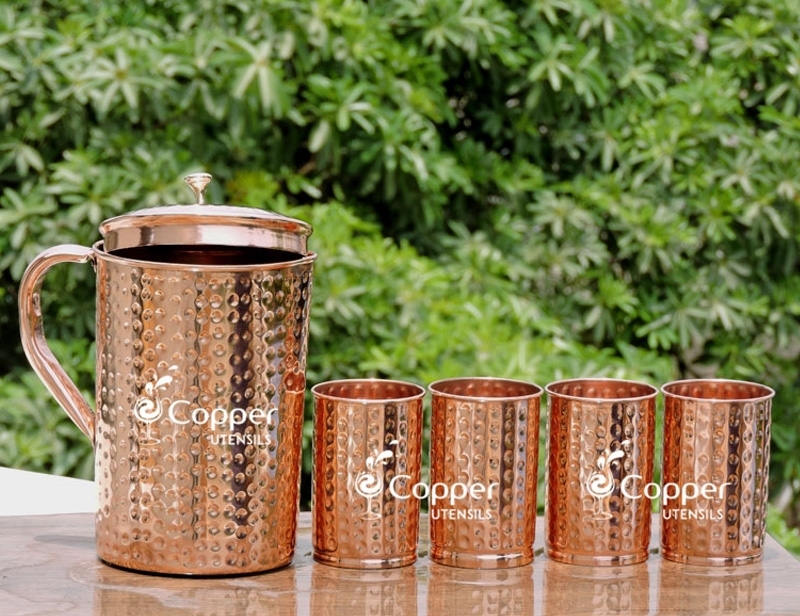 The set is ideal for storing and drinking copper treated water every day. 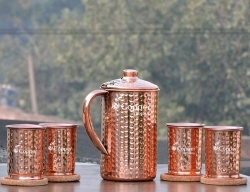 I have gotten tons of compliments on my beautiful set. 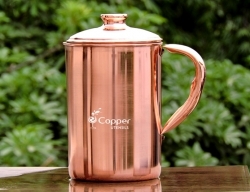 I ordered a second as a gift. 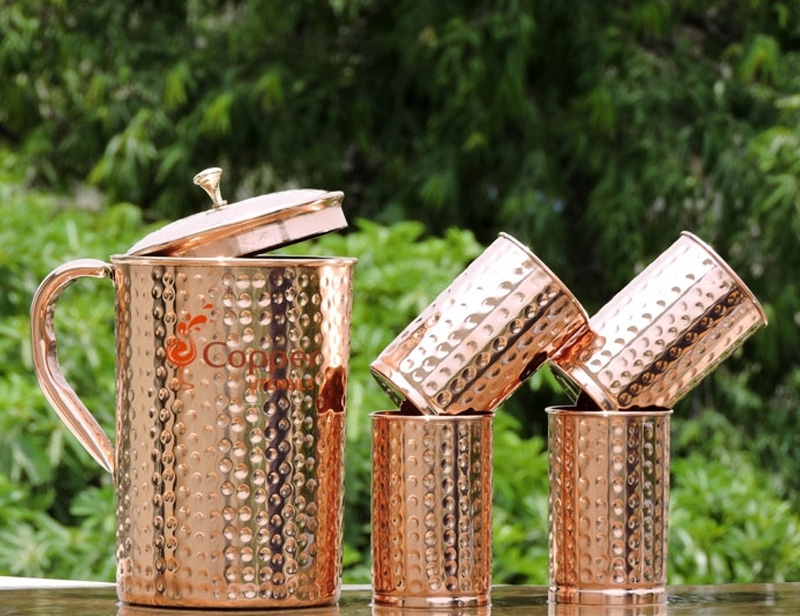 It took very long to get the product delivered. 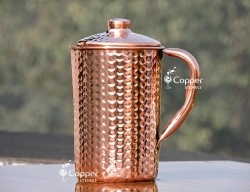 But other than that It is beautiful, very light and pretty, the water tastes so much better. 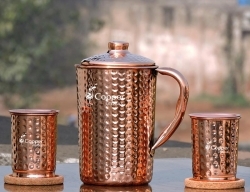 I am very pleased, thank you.